After more than 92 years of existence, company remains true to the values of quality and entrepreneurship of the founder Jean Bernard-Massard. As of today, Bernard-Massard is Luxembourg’s first privately owned wine producer with about 4 million bottles leaving yearly our cellars. Beside a strong presence in Belgium, Cuvees are well represented in countries like Finland. It is nice to see that Finland is important market for Bernard-Massard. Wonder if it is available in the biggest markets like Germany and of course France? Tasted Bernard-Massard Cuvée de l’Ecusson Brut is a blend of Chardonnay, Pinot Noir, Pinot Blanc and Riesling grapes. Quite a mix, but not in bad sense. The finest of Bernard-Massard’s Cuvées since 1971, the Cuvée de l’Ecusson range epitomises the expertise of the company which affords this Cuvée its place amongst the most interesting European sparkling wines. Light yellow, almost translucent. Small bubbles which rise from the bottom of glass in continuous stream. The scent is delicate, some citrus and pear but need to sniff carefully. As we tasted wine is different glasses, also bouquet varied. 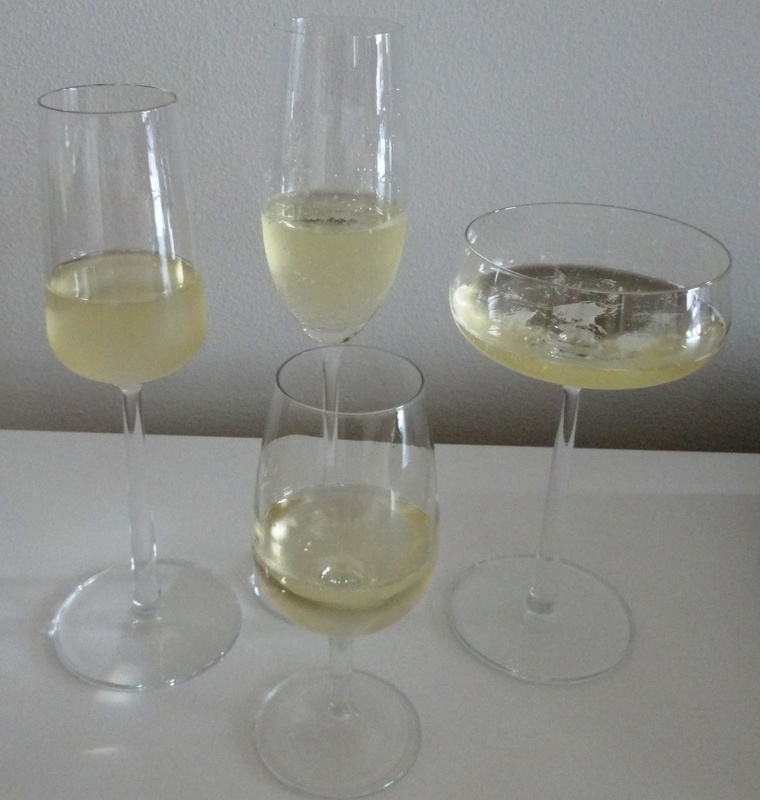 Although wine is brut, amount of sugar is more than usually in dry wines and that can be noticed in taste. Could found some fruits but was also as delicate as was scent. Tasted wine in different glasses and there was clear differences to be found. I am not sure, if 13 g/l sugar categorizes Bernard-Massard Cuvée de l’Ecusson Brut as brut wine. However, this is one of the easiest sparkling wines to start tasting, (if you do not have found world of bubbling drinks yet). Exellent aperitif and pairs well with different kind of foods, even with desserts due to sugar. As we tasted this wine with different champagne glasses, review of those glasses will follow. Nice to find a review of this, was reading up on it as SAS are now also serving on European flights. Seems it is popular with the airlines. Sparkling wine from Luxembourg is interesting experience and actually it is enjoyable. Competes with French sparkling wines head to head. Thanks for noticing the post! I can honestly say that I have never had any Luxembourgeois wine, much less a sparkler! Will have to look for it the next time I am in Benelux! I was surpised to see that Finland was mentioned as one of the main markets. Canada was another. Finnair serves also this sparkling wine.